Here is the new thread for discussing Fyreslayers. With the imminent release of AoS 2 (and a lot of the info already being out there), now is the time for us to start afresh on TGA. 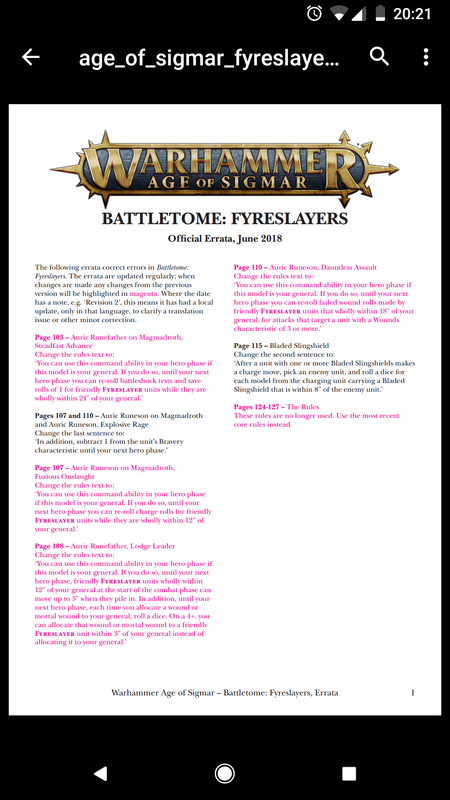 Moving forward, this will be the main thread to chat about and discuss Fyreslayers in the new edition. I still wholly encourage people to keep their own threads/army blogs within this sub forum and I also think those are a great place to share some photos as I know not everyone frequents the Painting & Modelling section (like me!). But this thread is purely for discussion around the faction, things such as (but not limited to) tactics and list building etc.  You all know the drill, we've been doing it on this forum since inception! Really excited to see what we can come up with as a community and I look forward to reading all your ideas and thoughts. Wooo! Looking forward to the new edition this weekend. Interested to know what people are going to do about magic given it's going to be such a big part of aos2. ally in runelord to disspell some bits? Or ally in stormcast wizard and take advantage of endless spells such as lifeswarm which could be very strong for us? Ok, as I´m thinking to restart my army and that would mean to buy some new models, like the hearthguards, I got a question: What weapon should I give them, the broadaxe or the poleaxe? What do you guys recommend with all the new stormcast and nighthaunt armies coming out? I still think you can’t beat poleaxes with MW. High save characters and nighthaunt being immune to rend make MW a useful tool that Fyreslayers don’t have easy access to. Saying that, there is still a place for the broadaxe, against low save hordes they excell and are notably better than the poleaxe. So really, it depends. If you have enough MW output elsewhere and face hordes then take broadaxe, if you don’t have enough MW and/or don’t face hordes often then take poleaxes. So the points nerfs seems heavy for an army with 0 magic when magic is now such a prominent. Maybe we'll find out some warscrolls and abilities have been updated this weekend to soften and explain the points hikes. I see a few people talking of jumping ship now but im determined to stick with the duardin. @The Jabber TzeentchThanks for your reply. Thats good to know. I´m thinking to buy some if I restart and those MW do look nice. I will meet orruks, undead and other so it will get in handy. About your question carrigher82 I think you are right. It seems strange as magic will get a huge part in AoS2 that we get more expensive and got zero protection. But I´m hoping that GW will do a stormcast with us and gives us some new units, perhaps some with protection against magic, our own magic perhaps even and hopefull some new unit (I´m a big fan of fyreslayers riding lizard so we get some mounted unit that are faster). I don't think the points increase had anything to do with the (presumly) increased impact of magic, it had all to do with that you could buy 30 vulkites for 330pt!! and a runesmiters for 80pt!? ? And we have magic protection, 100+ naked duardin with 4+ ward save. But what I think can be very tricky going forward are the new scenarios. One where we can not tunnel, one where we can only cap with the (weak) hero that got the artifact. Two where the objective moves around so we have to run after it with our small legs. It will be interesting how this will affect us but my guess is that it will have a much bigger impact than the points change. 4 magma maybe? ? Yes DoK are great but your comparison is a bit biased IMO, you should compare it to average battleline units, then you will realize that vulkites is a great battleline unit. If you compare them to the best units you can think of, they will of course look average. They are still top 5 best battleline units IMO but they have never been OP, no battleline units have really. Vulkites for 360pt are not the problem but I agree that 5 HB for 100pt are more problematic, it should be 80pt. And Aurics could stay at 100pt IMO. And they could lower all Magmas to 200pt. And change the warscroll for the Runemaster to do something (maybe be able to dispell). Then it would be perfect IMO. Not one of the tier 1 armies that you see on every top table but an army that will constantly place well at tournaments (top third maybe). What are people's opinions of the Lords of the Lodge warscroll battalion? The ability to pile in and attack twice looks really good for Hearthguard berserkers but I'm not sure its worth the warscroll points and having to take a Runemaster. I also noticed the GHG 2017 Lodges say you have to take an additional berserker unit but the warscroll itself doesn't give that option. Is that a bonus for taking the vostarg/greyfyrd lodges? What are people's opinions of the Lords of the Lodge warscroll battalion? I also noticed the GHG 2017 Lodges say you have to take an additional berserker unit but the warscroll itself doesn't give that option. Is that a bonus for taking the vostarg/greyfyrd lodges? Lords of Lodge was good, and is this probably going to be the go-to warscroll battalion if you are running Hearthguard berzerkers. Lodges require you to take an additional unit on top of the sub-warscroll battalion so 2 Hearthguard Berzerkers for vostarg lodge. Also magmarunesons ability is now simply full charge reroll aura instead of the roll 3 dice and pick the 2 highest results. 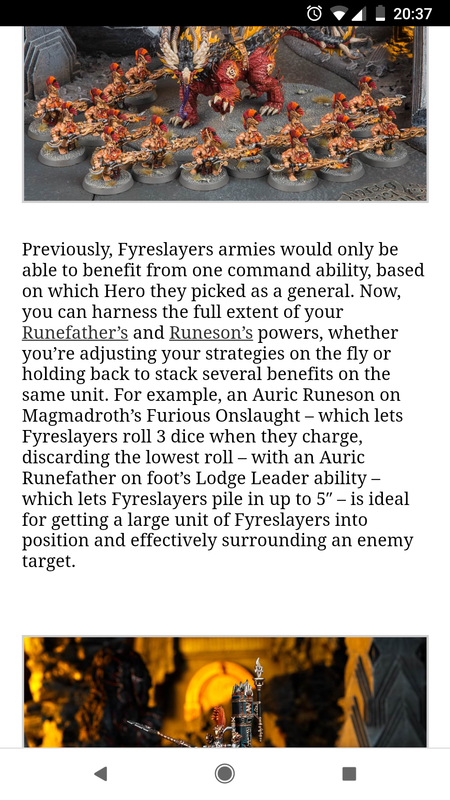 Ultimately though, fyreslayer command abilities never were really worth stacking in the first place. The only real disappointment to me was that they made that change for runeson on foot. Nobody is ever gonna pick that guy as their general so his ability is just pointless (again). And no update for the Auric Runemaster though I wasn't really getting my hopes up much. Have you noticed that they have changed every abillity to wholly within except the most important one... the battlesmith. I wonder why... but we dodged a bullet there. ? Guess that means none of the warscrolls are being updated. And we have no summoning /unbinding rules to boot. Not sure how I feel moving forward. Also just noticed that the command abilities now require a unit to be wholly within a distance of the general. Good luck using the 5" pile in on a unit of vulkites! I commented about the disconnect between the Faction Focus and the errata on the AoS facebook page and the community team said they were unaware of the change when they wrote the FF (which I guess confirms the FFs were completely useless as the writers were only vaguely aware of 2nd ed changes). I don't want to cry doom for Fyreslayers with all the other changes going on (Tzeentch got huge points increases and it looks like the Plaguetouched battalion may have been invalidated) as the meta is going to shift a lot but I'm not too optimistic. I'm predicting allying in a Stormcast wizard will be a requirement for any Duardin army and am foreseeing Death (and in particular, Nagash) dominating the tournament scene. 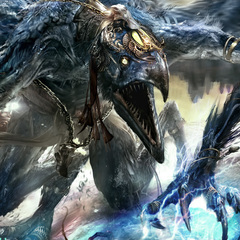 It looks to me that any army that boasts some strong summoning is going to be brutal. In particular, Khorne with their blood tithe mechanic and Seraphon using a slann to summon come to mind. Has anyone tried making 1000 point lists with these new changes? I'm finding it pretty hard to justify a Magmadroth or Vulkites (other than the battle line requirement). Too bad, was really looking forward to having my runeson on foot that I only bring to get a warrior kinbad actually contribute something besides missed javelins. We'll see what Saturday brings, but right now it's looking like a big fat grudge and an Oath to never ally stormcast wizards. Also Unless my spreadsheet is wrong you can do this for 1k points even. 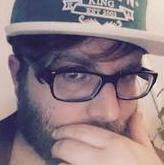 I agree that VKs pts changes is ok, I can live with that, feels fair enough. Its when you couple this with hefty increases for smiter and smith, nerfing ash plume sigil (our only specific magic defence) and now making our already pretty useless command abilities 'wholly within', becoming even more useless. Fyreslayers are a horde, so wholly within rules hits hard. Im still optimistic, up your generalship and the army can still be decent. I hate whinging about changes I only wish that there was some give and take to changes, like ok nerfs on a lot of stuff but......and then offer a sweetener with it. The only times armies should get full nerfs and no upsides is when they're dominant in the meta and on top tables, Fyreslayers have never been either. Is there any chance that when the actual GHB is released this weekend their will be unforeseen upsides in their perhaps abilities/warscroll changes etc or do we now pretty much know all that's coming (or lacktherof) for fyreslayers? There could be changes to our allegiance ability, command traits, or artifacts (I haven't found spoilers for those) but I'm not hopeful. I feel like the edition change was just a big missed opportunity for Fyreslayers. Poor Auric Runemaster really really could have used a reworked warscroll. As someone that is restarting fyreslayers I got another question: what books do I need to get? Is it enought with fyreslayers book and the new GHB 2018 or do I need some other book too? You don't really need the Fyreslayers book anymore. I got it and am kind of disappointed with it though it has some nice pictures and stories in it. All the warscrolls are in the app and the GHB will have their allegiance abilities. There's a couple of battalions in the book you might want to use but those can be bought in the app for much, much cheaper than the book. I pray there is a new book coming. what lists have people got planned for 2000 points?